Post dangle earrings measure approximately 3/4" long and 1/4" at widest point. 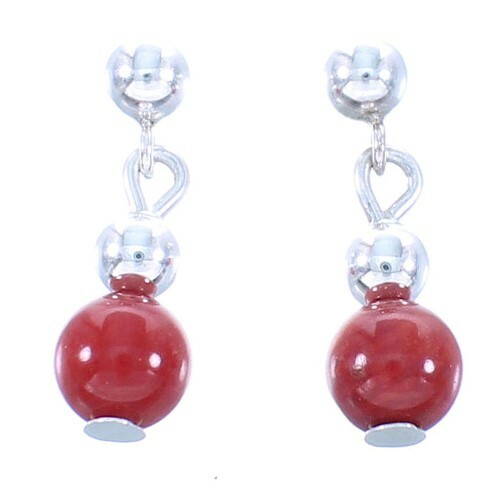 You'll absolutely fall in love with this stunning pair of earrings! This piece of Native American jewelry is Navajo hand crafted out of genuine sterling silver, along with real Coral beads. 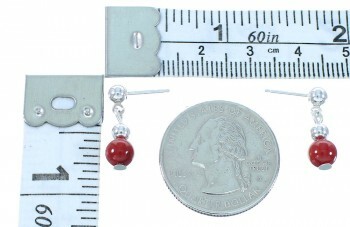 The earrings consist of: 4-mm silver round beads, 5-mm Coral round beads.